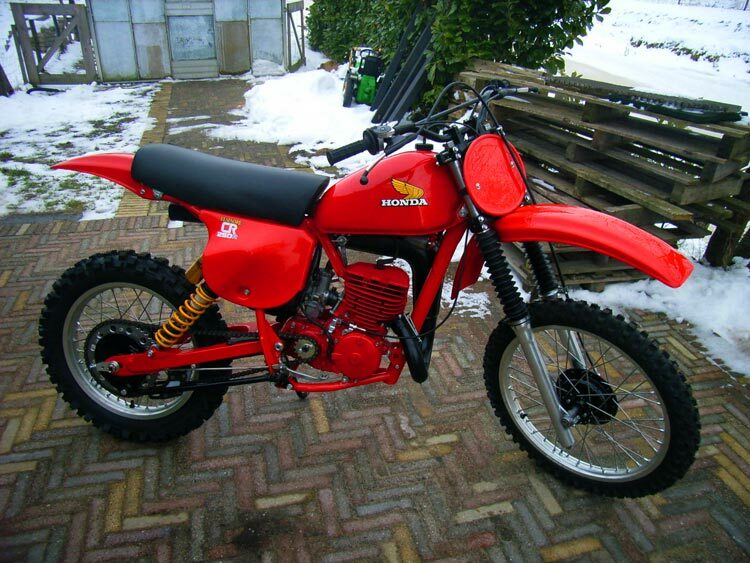 Here are some pics of my 1978 Honda Elsinore CR250R bike! I totally rebuilt the bike with as many NOS Honda parts as possible. I bought the bike in january 2009 from a friend of mine. He has ridden this bike for fun around his house for more then 10 years, and finally decided to sell it to me. Many parts I have acquired from ebay of course, and some from a local Honda dealer. On one picture you can see the bike when I bought it from him. On the others you see the results. This is not the first bike I have restored. My first was a Suzuki RM370. Then a 1977 Suzuki RM250, another 1979 Honda CR250R, and a1975 Suzuki RM125S.